WB-120A Waste Water Evaporator 11034730 https://www.kaercher.com/us/professional/water-treatment-systems/evaporation/wb-120a-waste-water-evaporator-11034730.html The WB-120A Water Blaze is an energy-efficient wastewater evaporator system. It is capable of handling waste streams at 120 gallons per hour and features top-of-the-line burner components. The WB-120A Water Blaze is an energy-efficient wastewater evaporator system. It is capable of handling waste streams at 120 gallons per hour and features top-of-the-line burner components. 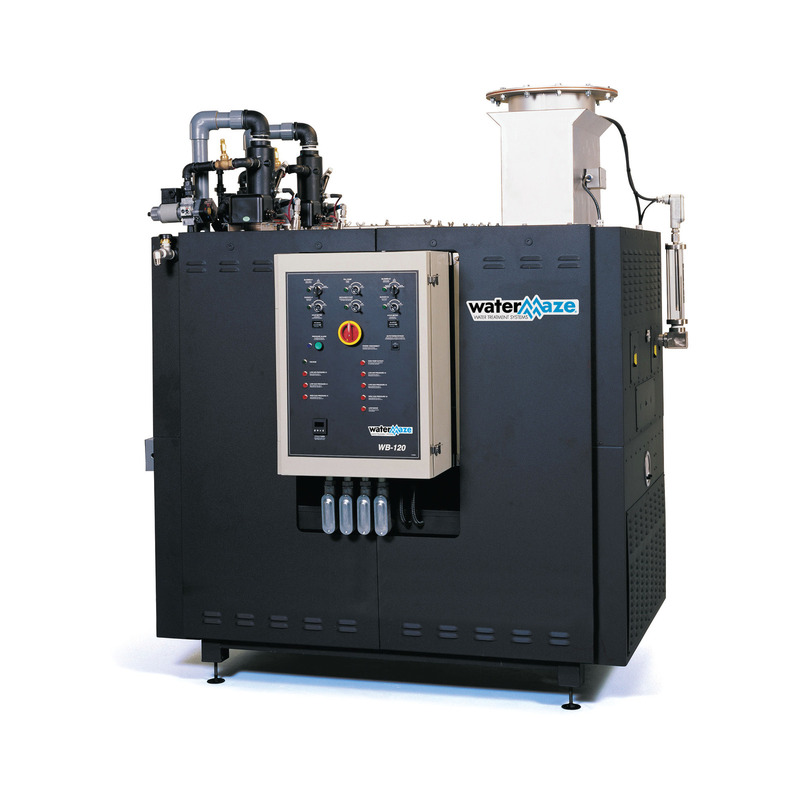 The WB-120A Water Blaze is a submerged combustion water evaporator. This super energy-efficient wastewater evaporator system with patented design uses submerged combustion technology whereby heat is forced through a submerged tube and released directly into the water for 100% heat exchanger efficiency and dramatic operational and energy cost savings. The WB-120A is capable of handling waste streams at 120 gallons per hour and features top-of-the-line immersion tube jet burner components. With a solid-state flame control monitor, the WB-120A is capable of creating temperatures of up to 2000°F, releasing hot flue gases directly into the water.